ISO SpecialistTM is an ISO-registered consulting firm with operation in Singapore, Malaysia, China, Africa etc. By focusing on providing outstanding customer service and value for our clients, we have grown to become the specialist in ISO 22000 Food Safety Management System (FSMS) / Hazard Analysis Critical Control Point (HACCP), ISO 13485 Medical Device Management System, (MDD, IVDD, IMDD), and other ISO Quality Systems implementation such as ISO 9001 Quality Management System, ISO 14001 Environmental Management System, ISO 45001 Occupational Health & Safety Management Systems, ISO/IEC 17025 Laboratory Management System etc. 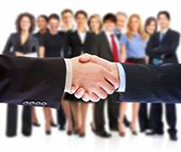 Why you should hire ISO SpecialistTM as your partner in quality? Clients place their trust in us to guide them through complicated processes, and represent them to National and International authorities. We work hard to represent the interests of our clients and do everything possible to ensure that regulations and requirements are being followed and achieve compliance. We are not a one person consultancy firm with knowledge limited to a few specialized products. ISO SpecialistTM consultants have diverse medical industry experience with a wide range of devices. All of our Consultants are Certified Lead Assessors who have been involved in developing, implementing, training and auditing organizations to numerous ISO standards including ISO 9001, ISO 22000, ISO 13485 and ISO 14971 etc. Experience will often allow clients to avoid costly mistakes and most certainly will reduce the learning curve, which will always prove to be a good investment. Beware of consultants that offer to help you meet regulations and requirements but they are not certified and/or they are free-lancer with no organization. ISO SpecialistTM has real people on the ground in all of these areas plus we are belong to Prinsip Mahir group of companies (refer to www.prinsipmahir.net, www.prinsipmahir.com). That's important when certification issues arise that may require a personal visit with Certification Body, Registrar, Government Regulatory or other entities. ISO SpecialistTM is well known in the industry and stays active in several associations. Over the years, we have made numerous contacts within government agencies, testing labs, associations and others allied with the field. As a result, we can often make things happen faster, less expensively or with better results than might have otherwise occurred.